Click the image below for information on Carnival 2018! being underserved by our parish are being connected/reconnected to St.
these ministries interest you, please notify the contact person/persons. This group is for parents who no longer have children at the school but who are not quite ready for SENGA. Volunteers plan, prepare and work the annual Fish Fry during the Lenten season. Fish Frys are held each Friday during Lent and volunteers are asked to work either 4:30-6:30 or 6:30-8:30. When there is death in the parish, the family of the deceased is contacted by this committee. A lunch following the funeral is offered in Aloysius Hall. Committee members prepare food for the family and serve the lunch. If a family so desires, food is delivered to the home. Members of this group meet on a weekly basis, usually Thursday mornings, from early Spring through November to plant, weed, and water the parish, school, and monastery grounds. Individuals also maintain particular areas of the grounds. St. Agnes hosts New Member meetings for those wishing to become a part of our St. Agnes Family. Our pastor gives a Power Point presentation of parish history and some of the ministries or activities they can become involved in. Then they are introduced to the pastoral staff and each staff person gives a brief description of what he or she is responsible for here. Each person/family is given a new member packet, we have refreshments, socialize and we leave. It is the hope that this ministry will give these new family members the support they need to become an integral part of the community. Parish members can volunteer to be a host family. As a host family they will introduce themselves to the new member, explain the various activities and answer questions they may have. This host family will invite them to activities sponsored by the parish and help them to become as involved as they want to be. St. Agnes Parish has so many great families who are willing to use their time and talent in different and creative ways. One of the ways we do that is by volunteering to assist families with newborns. We do that by preparing a meal for the family in those first few blessed and hectic weeks that the newborn is home. Each person who volunteers to cook for the family will bring a meal on a designated evening. When I call for volunteers, I will give you all of the information you will need. You would only be responsible for (1) meal or you can pair up with another person and be responsible for ½ a meal. If you are interested in this volunteer opportunity, please call the parish office or Kristi. 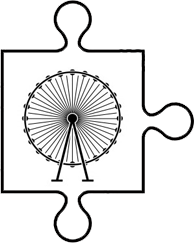 The St. Agnes Communication Committee was formed this year to increase and improve communication between the parish and its parishioners, as well as the greater community. We seek to enhance parish publications by continuing to use traditional paper printings, while improving on our existing electronic forms of communication and starting to leverage social media where applicable. We desire to make information readily available to those who wish to join committees, participate in projects, gather for social events and volunteer for ministries. We promote parishioner to parishioner dialogue, as well as outreach to the surrounding geographic population. We intend to meet at least once a month for team updates, and during each month as necessary to reach our goals. Volunteers are needed to help make “Prayer Blankets.” These are for those in our parish, or our family members who are seriously ill. It is a way of letting them know that the prayers, love, and support of the St. Agnes faith community are with them. These can be made at home at your own convenience. They are simply made, about a yard long and straight stitching. A “Prayer of Comfort” can be obtained at the Parish House to be given with the blanket. If you know anyone that may be comforted by a “Prayer Blanket,” they are available at the Parish House. The Quilting Group makes quilts for the benefit of St. Agnes. Most quilts are designated for the two quilt booths at the St. Agnes Carnival each July. The group also makes quilts for the St. Agnes Christmas Boutique held in November. The quilters meet on a regular basis on Wednesdays and Fridays from 9:00 A.M. until 2:30 P.M. in the Quilt Room of Charity Hall (behind the school) where 2 or 3 quilt frames are set up for quilting. Other weekdays are sometimes added. Quilters may work as few or as many hours or days as their schedule allows. The group welcomes anyone who would like to quilt, both parishioners and non-parishioners, even if they have no previous experience. A “beginner’s quilt” provides practice for new quilters. Additional volunteers who may want to work at home may cut pieces for quilts, assemble quilt blocks, or actually make entire quilt tops. For additional information please contact either of the persons listed above. The SENGA Club provides social and spiritual time for its members. Membership is available for those over 55 years of age. They take trips and sponsor activities that are based upon the interest of the members. Meetings are held the 2nd Wednesday of each month at 1:00 p.m. in Aloysius Hall. 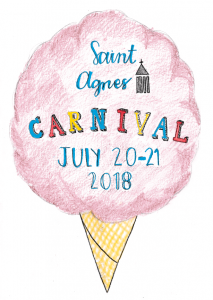 St. Agnes Young Adults and Families has a range of activities, service opportunities and social events to truly engage and connect young parishioners. Join our Facebook group and check out upcoming events on our calendar!